The Childs Princess Dress is a three piece ensemble that includes the chemise, bodice, and skirt. The chemise is made of high end gold satin fabric. The bodice and skirt are made of a very nice brocade damask fabric, and the bodice is fully lined. 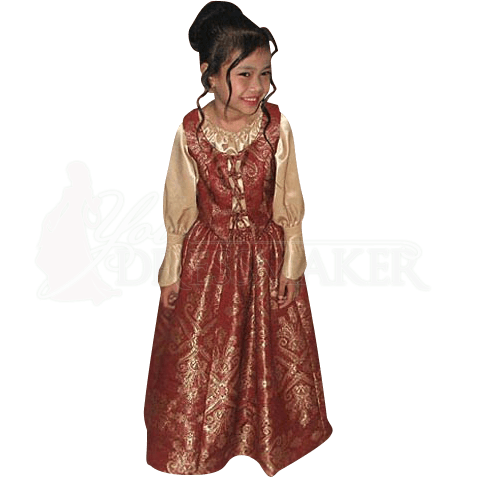 The Childs Princess Dress is great for taking your child to Renaissance fairs or Medieval events.